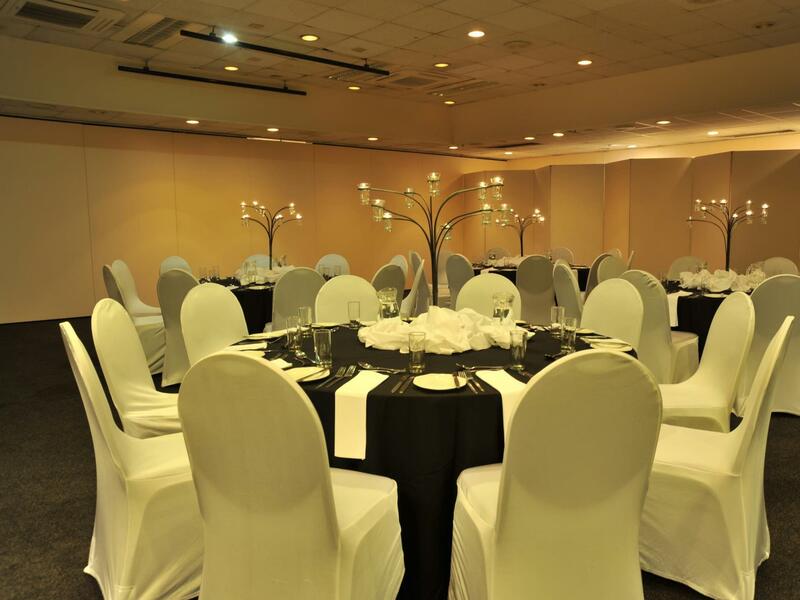 ﻿ Hotel Promenade Nelspruit. JIMAT di Agoda.com! Ada soalan mengenai Hotel Promenade? Terletak di Nelspruit, Hotel Promenade adalah bersambung dengan pusat beli-belah dan menawarkan bar, teres tempat makan serta parking persendirian secara percuma. Ia berada 3 km jauhnya dari Padang Golf Nelspruit. Bekas dewan bandar yang masih mempunyai menara jam ini menyediakan penginapan yang luas dengan perabot bersejarah dan aksesori yang elegan. Bilik-bilik ini menawarkan TV dengan saluran satelit terpilih, alat membuat teh dan kopi serta kemudahan bilik mandi. Para tetamu boleh menikmati hidangan tempatan dan antarabangsa di restoran Hotel Promenade yang turut menawarkan pemandangan halaman dan air pancut. WiFi disediakan di kawasan awam secara percuma. 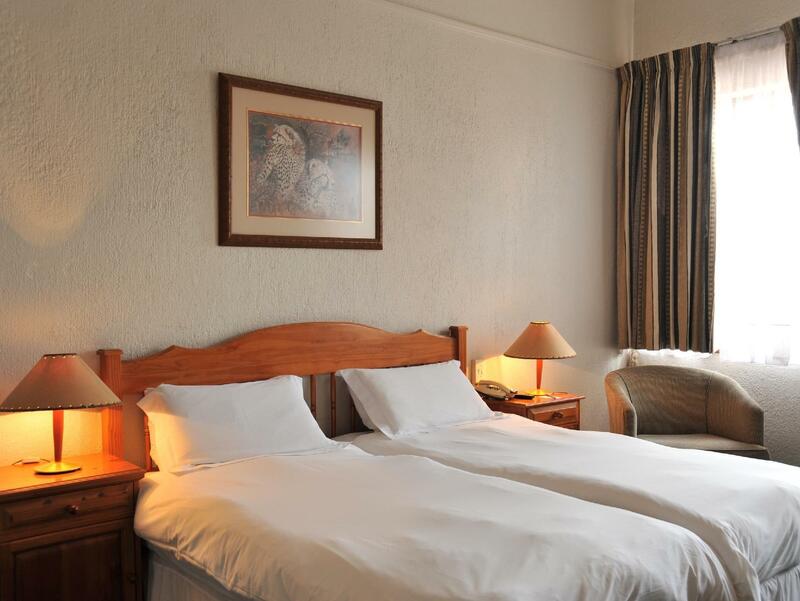 Hotel ini terletak kurang 5 km jauhnya dari Lowveld National Botanic Gardens dan Pusat Beli-belah Riverside. It's right in town,we parked our car and moved around town. Carpets are very dirty. Though this hotel is good value for money, poor house keeping and catering can be a very bad turn off. These need drastic improvement. The rooms need to be upgraded . Bathroom needs to be revamped. I guess every room had something not working /broken . No urgency with the staff . 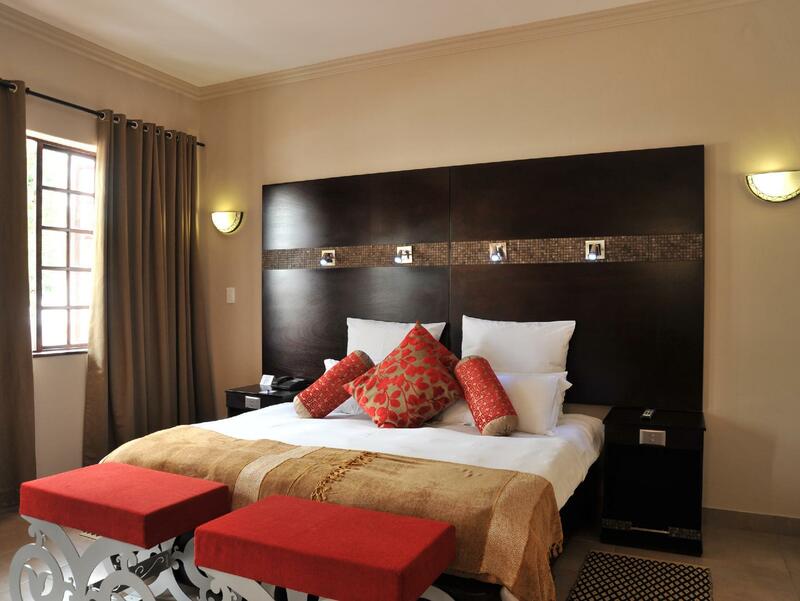 its the best choice if you planning to stay in nelspruit. Friendly staff. See to all our needs. Our hotel room was in need of renovation. The shower did not work well and splashed water all of the bathroom. The shower curtain was too small to cover the shower area. The bed was OK but the TV was placed so far from the bed that we couldn't see it from the bed, and there were no sofa to sit on. Anyway OK for one night but we would not go back there again. Found this hotel a bit smelly in the hallways. Old musty smell. We had no hot water so had to shower in another room. Internet not very good. Kept cutting out. Food was good and staff pleasant and helpful. Bed & breakfast the best, hotel staff were very polite and professional. Julia Nyalunga the receptionist.she is the best. Enjoyable, the best, just need to update your bathroom, also put a jug of fresh water next to the tea/coffee facilities daily. I have recently spent two separate nights at the Promenade, before and after a trip to Kruger. I like the hotel, it's comfortable with pleasant helpful staff. 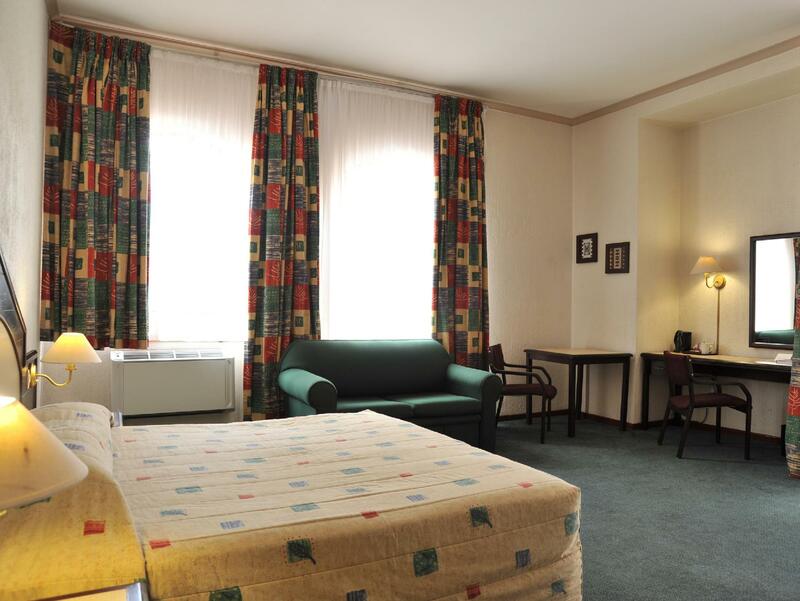 The rooms are of a good size with all necessary amenities. I would happily return there. We had a great stay. The only thing that we found odd was the poor lighting in the room. There was no light from the celling, only the bedside light which was very dim. Although, we didn't mind as we went in the room to sleep most days we were there but little bit more light would be nice. Other than that we were pretty happy with our stay. Centrally located. Friendly atmosphere. Large rooms. Stay was good. My original booking was not amended, so it was embarrassing for us to have to be turned away from breakfast both mornings, on the first day it was understandable and the second time was annoying. Reception was not really helpful till someone forwarded us the amended email from home. the hotel didn't have our reservation booked through Agoda which caused some confusion, but they checked us in and had it sorted by the morning. We ended up extending here for another 5 days. Big drawback is no internet or wireless anywhere in the hotel. Also no plug adapters for the South African plugs, but the hotel quickly provided us with one on request. Es un lugar suficiente que elegimos por su ubicación porque en principio era conveniente para nosotros. Tuvimos un percance con la compañia de alquiler de coches que está en la misma entrada del hotel y el día de llegada, en la calle una persona intento tirar del bolso riñonera de mi mujer, un pequeño susto que ha dejado un sabor agridulce de nuestra estancia en Nelspruit.